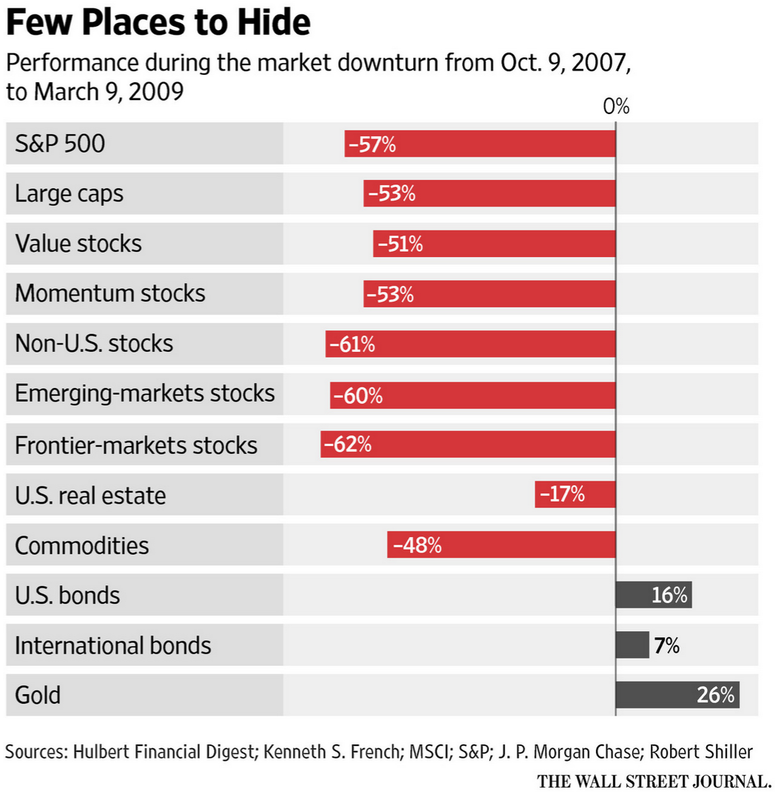 Mark Hulbert, writing for the Wall Street Journal, explored what asset classes performed the best during a bear market. He found that, “Almost every stock-market sector has suffered in each of the bear markets of the past 90 years. This is the case even for categories that are widely believed to provide downside protection, such as international stocks, those of companies with the largest market capitalizations and so-called value stocks—those trading for low prices relative to their book values”. See the chart below. Armed with that knowledge, Hulbert suggests that one way of protecting your assets would be to allocate some of your portfolio to intermediate term Treasury bonds because research shows that they are, “the asset class that has performed most consistently during bear markets… According to Morningstar data, intermediate-term Treasurys gained as a group during all but one of the 28 bear markets since 1929, and in the one bear market where they didn’t they still lost less than 1%”.